The Razor E200 electric scooter is one of the most popular scooters for sale right now, so I figured that it was high-time that I started to give it a bit of a review. I am going to try and cover as much as I possibly can about this amazing scooter so you can make an informed decision on whether it is going to be right for you or not. 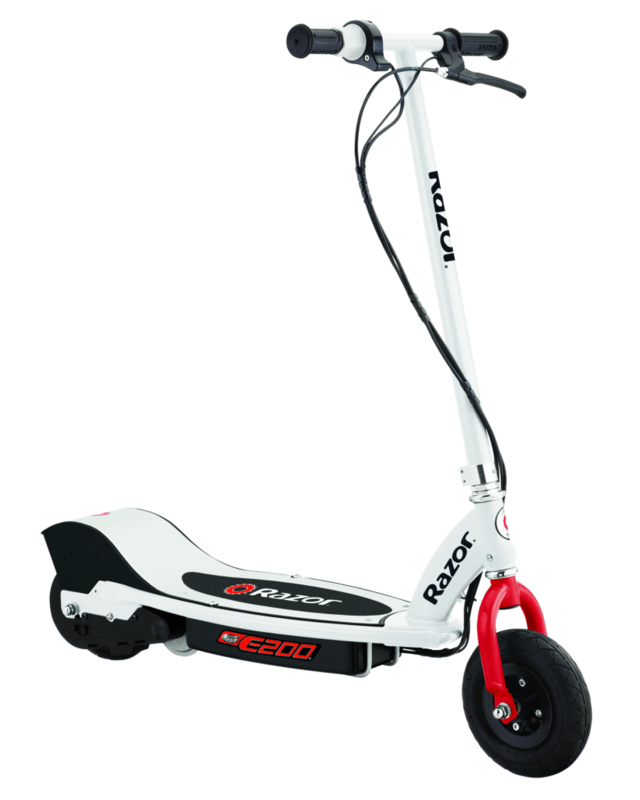 The Razor E200 is a perfect scooter for children and teenagers. If offers fantastic, safe and smooth riding experience at an affordable price. For those who are looking for a scooter for an adult or for longer commutes, we recommend to look at some of the other Razor scooter reviews on this site. In addition to this, there is an E200S model of this scooter out. On this page, I am going to be focusing purely on the E200 model. The model with the S on the end is actually only different to the E200 in one way. This is the fact that it has a removable padded seat. If that is not the sort of thing that you are interested in, and the majority of people out there will not be interested in that, then that model of the scooter is probably not worth spending the extra cash on. The maximum speed of the Razor E200 is going to be about 12 miles per hour, with a range of about 40 minutes, so roughly 8-10 miles. Remember; as with all other electric scooters on the market, how far you will be able to travel on this scooter, and the speed you are able to get there, will be dictated by how much the user weighs, the surfaces they are travelling over, and how many twists, turns, and brakes they carry out. Generally speaking, you should be able to get 40-minutes out of it. You must remember that this is not really going to be a scooter that you can hop off, sling on charge for a few hours, and then get back onto it. The charge time is around the 10 hour mark, which is one of the main reasons why I can’t really recommend it as a commuter scooter, even for those that do not weigh a whole lot. I know that there are some people who will want to be riding this into school, and you can do that if your school is not too far away. However, do bear in mind that it does have a slightly longer charge time that you may expect. That being said, the higher charge time actually helps to bring down the cost of the Razor E200, this is because the batteries have a slightly different tech in them. They are still going to perform to an incredibly high standard, they just do not charge that quickly. Don’t worry; this is Razor, so they are going to make sure that you are getting real bang for your buck with their scooters! If you are looking for an electric scooter which has been built with portability in mind, then this is probably not going to be for you. Don’t get me wrong, it is a lightweight scooter and you are able to fold it down easily, but it is not the sort of scooter that you will want to be constantly folding and picking it up again. Part of the reason for this is the fact that it is a large board. This is because the board has, technically, been designed to also accommodate the seat on the scooter. This is great for comfort (more on that in a short while), but it does hamper the ability to just slide it under your arm and travel huge distances with it. If you are looking for an electric scooter that you can constantly hop on and hop off, then you may be better-served looking at some of the other products in the Razor range. The foldability of this scooter (which takes seconds and is dead simple to do), is more for storage as opposed to anything else. As I said; you can carry it around, but it is not really built for that. This is a scooter which has been built for you to ride. Whenever I write reviews on electric scooters, I always tend to focus a lot more on the wheels of a scooter than many other reviewers do. This is because I feel that it is the wheels which make or break a scooter. You can have everything else on the scooter absolutely perfect, but if the wheels are shoddily constructed i.e. the part of your scooter that is actually touching the floor, then you are not going to get that much of a pleasurable ride from it. The Razor E200 wheels are a little bit smaller than on other electric scooters, but you do need to remember that this is a scooter built for kids and teens as opposed to adults. However, they do have one major perk. This is the fact that they are pneumatic tires. It ensures that when you are travelling over rougher surfaces i.e. grass, your scooter is still going to be able to function properly. You won’t be doing an epic amount of off-roading on these tires, but you will be able to tackle a whole lot more than other scooters will allow you to tackle. The fact that they are pneumatic tires means that they are incredibly hard-wearing too. Your typical electric scooter tire is made of a hard plastic, just like your normal kick scooter wheels, which means that they are eventually going to wear down and need replacing, which is never going to be ideal. As I have mentioned previously; this is a scooter which has not been designed to be ridden off-road. Sure, you are going to be able to do it to some extent, but that is only really over grass. If you want to ride this over rocks or something like that then, well, you can’t. The scooter just won’t perform. You are going to be shaken up like a milkshake from McDonalds, and it is just going to make you feel incredibly sick. When you are riding on grass or paved surfaces (it is the latter that this scooter is built for), then you are going to be enjoying an incredibly pleasurable riding experience. While there is no suspension built into the scooter, there does not actually need to be. It just feels really good to ride and the tires more than make up for the lack of suspension. One area which really seemed to impress me about the Razor E200 is just how responsive everything is. There is no stiffness in the handlebars or anything like that. When you ride this, everything just moves so smoothly, much like you are riding a bike. One small issue is that there is no foot brake on the back wheel, which is going to take a little bit of getting used to if you are moving on up from your standard kick scooter. The amazing brake is actually in the handlebars, and once you have managed to get the braking system into your muscle memory, then riding this and slowing down is going to be an absolute doddle. Of course, controlling your speed will be easy too. This is all done from the handlebars. This section seems somewhat pointless. This is because I am sure that anybody who is looking into an electric scooter will have heard of Razor. They will most-likely know that this is one of the best companies in the world when it comes to their scooters, so you know exactly what to expect. That is something brilliant. However, for those who are unsure about whether a Razor scooter is for you, then this is something that we are going to talk about in this section. One of the reasons why I give Razor a lot of praise for the build-quality of their scooters is down to the fact that this seems to be a company that genuinely cares about making something that is good. A lot of the scooter manufacturers on the market tend not to control the production process that heavily. They outsource their designs to China or something like that, then they hope that what they get delivered to their warehouse is going to be of a high quality. Razor does not do this. They take full control over the production process, and this means that they can be sure that whatever ends up being delivered to the end-user is going to be of the highest possible quality. Seriously. Their scooters have never let me down when they have arrived on my doorstep, and I doubt they will let you down either. 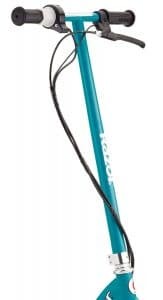 I know that there are a few people out there who are going to be put off by the limited 90-day warranty that Razor has on their scooters. I must admit that I had a little bit of an issue with it at the start. These worries lasted all of five-minutes, though. This is because I very quickly remembered that Razor are one of the best companies in the world when it comes to scooters. They are at the forefront of scooter developments, simply because they are good at what they do. I have not heard a single story of somebody’s Razor scooter breaking randomly. If you are going to run into any issues with one of their scooters, then it is likely that you were using it incorrectly, and the warranty is not really going to cover that anyway. You should also remember that if there is any wear and tear on your scooter, not only will this not be covered by the warranty, but it is likely that it is going to happen years and years down the line when the warranty has expired anyway. There is no scooter which has been built to last forever, but the Razor E200 comes pretty close. Put it this way; you aren’t going to be replacing any part of this in a hurry. Who is the Razor E200 for? 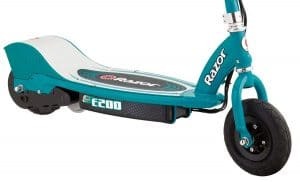 With its maximum weight limit of 160 pounds, I don’t really think that anybody much older than a teenager is going to get anything out of using the Razor E200. This is purely a scooter built for people who want to have a bit of fun during their young age. This is not to say that adults can’t ride it. I am sure they can, but there are other Razor scooters on the market which are going to be more targeted towards them. If you are looking for an electric scooter which is going to be amazing for your child to be zipping around, maybe as their first ever electric scooter, or maybe a really generous Christmas present, then this scooter is going to be absolutely perfect to buy. It is certainly affordable enough. I do not think there is a single scooter from Razor on the market that I have not recommended. I do not plan to change that now. This is a seriously amazing scooter. 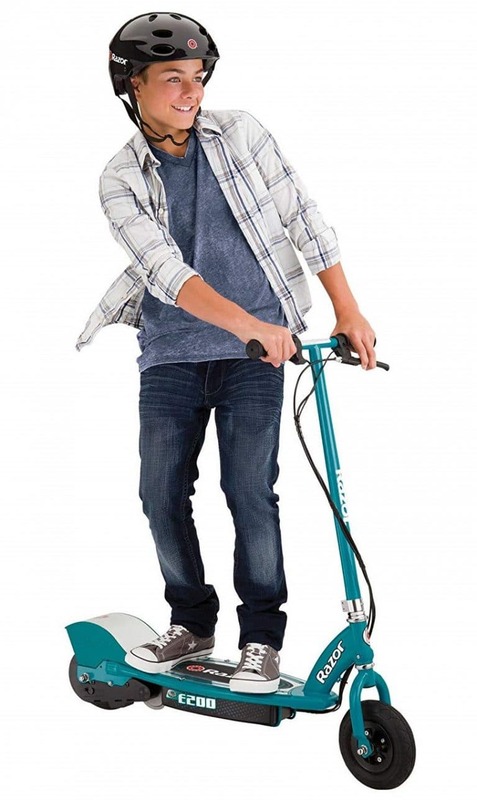 Sure, it is not built for adults, but if a child or teenager wants to enjoy one of the better electric scooters on the market, then I do not think they are going to go far wrong with this. It is worth checking out. If you are an adult, then you may want to look at some of the other Razor scooter reviews on this site.